Did you know that February is the month for love, LOVING YOUR HEART? What a perfect time to focus on foods that can help your heart.Did you ever wonder why fruits are recommended for daily consumption at home, school or work? Well, it is a well-known fact that a diet rich in fruits can benefit your health in many ways; most importantly, improve your Heart Health. Fruits contain vitamins, minerals and other nutrients like soluble fiber that can lower cholesterol and blood pressure.They are naturally low in fats, calories and sodium, and they have no cholesterol. Apples, Berries, Citrus fruits and Pears- Soluble fiber that can reduce blood cholesterol levels. Banana, Oranges, Cantaloupe, Kiwi and Apricots- Contain potassium that helps to balance fluids and minerals in the body. Potassium helps your body maintain a normal blood pressure. Lemons and Pineapples-Loaded with vitamin C that helps neutralize free radicals and eliminate harmful toxins from the body.This helps to keep the blood clean so that the heart and blood vessels can remain strong and well-functioning. Let us Love our Heart. 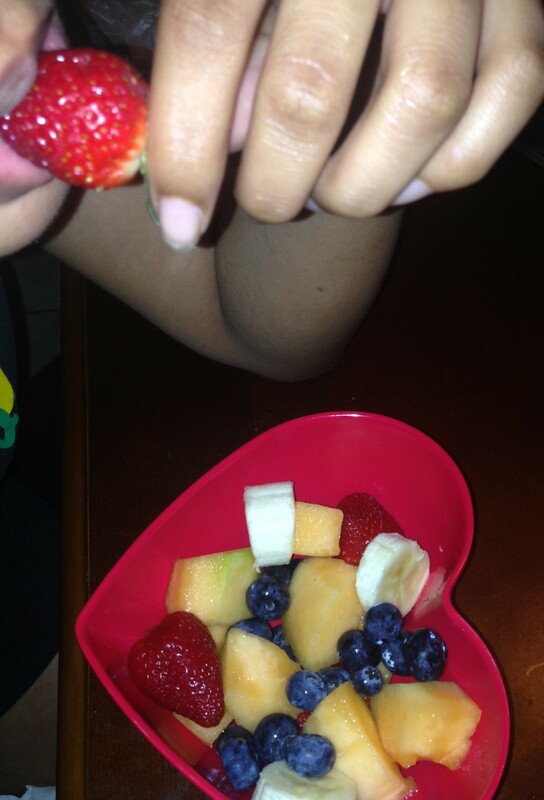 Eat fruits daily!